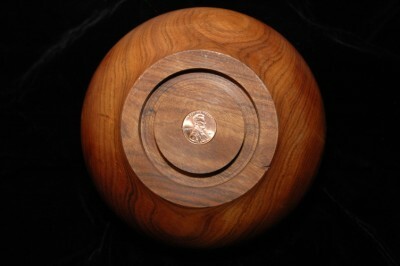 This was the first bowl that Lucas turned on the lathe with guidance from Tim. 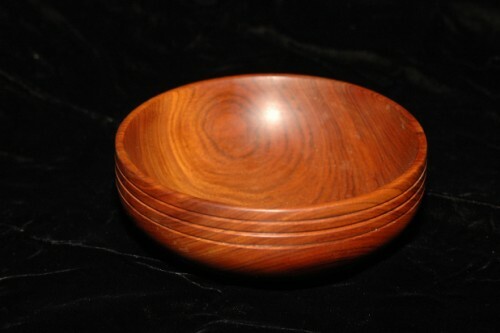 This bowl was made as a gift for Papa (hence the name). Although this was his first bowl, I don't see any mistakes or imperfections. Please contact us if you would like a similar bowl at: order@InTheDetailsGallery.com. This bowl has a 2009 penny embedded in the bottom as shown below.